We are very excited to have launched the all new SKYER HYPERFACE RANGE. 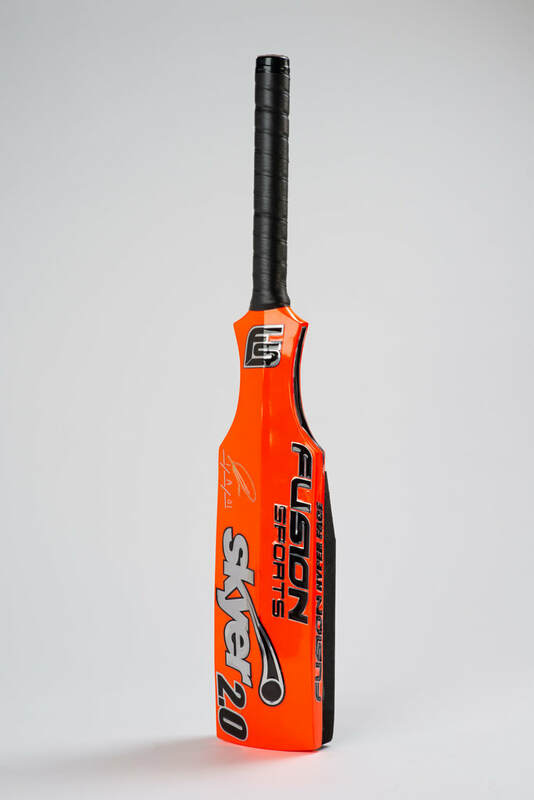 A Skyer closer to it's original roots but with with up to date technology and new ease of use features. 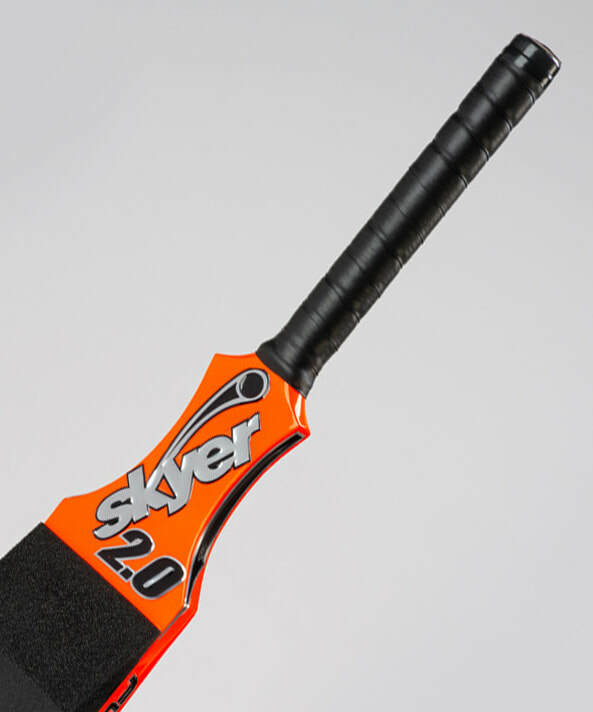 The Skyer was invented by Bill Cornford and his son James, a former minor counties and county second XI player. 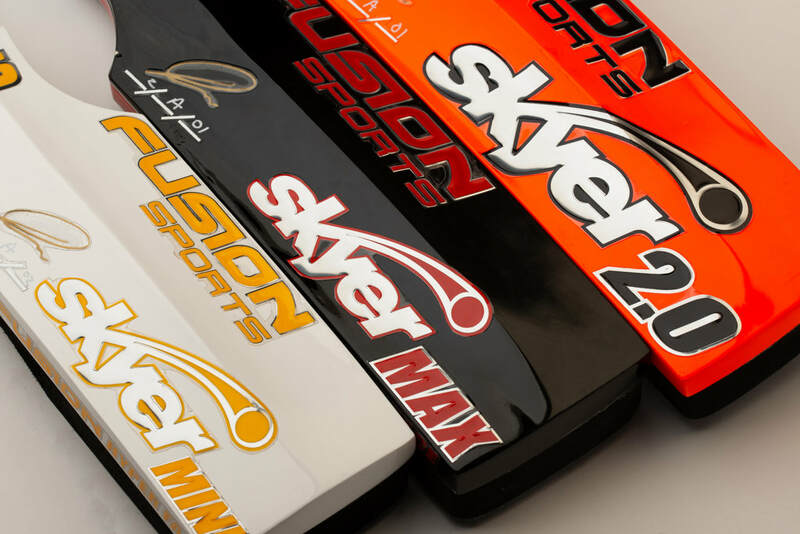 Though many have attempted to copy the idea the Skyer remains the benchmark for many Elite coaches and its guaranteed to make life easier and improve the quality of your delivery. NEW Fusion Skyer 2.0, MAX and Mini HyperFace. Precision and Power Innovative training aid. 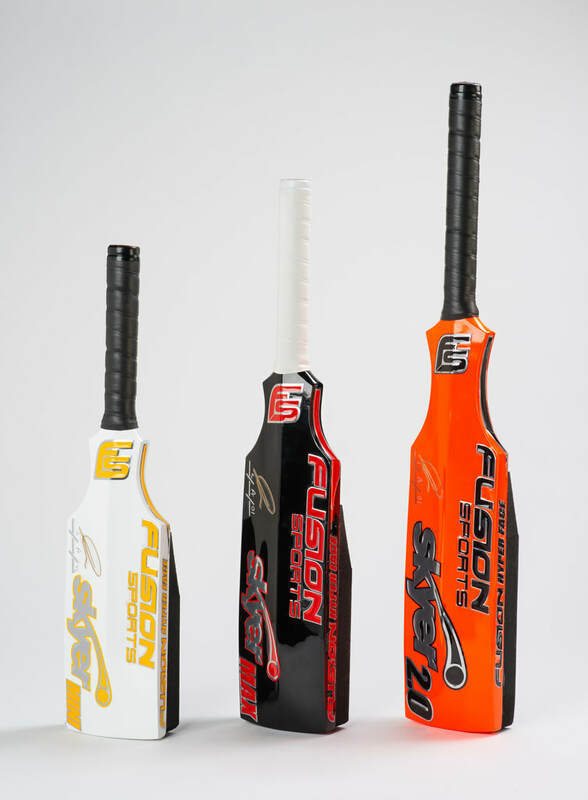 ​The FUSION SKYER was the original and best coaches' bat on the market. 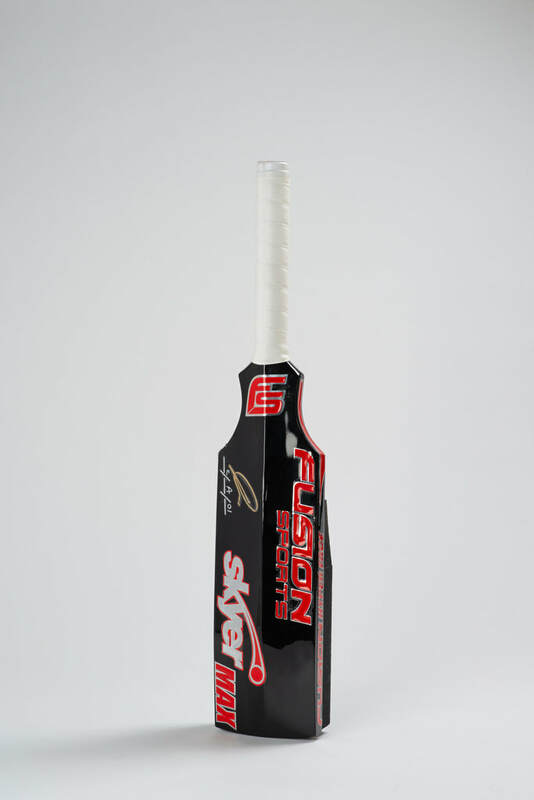 Designed to give you the ability to hit the ball much higher and further than a normal cricket bat, with EASE and reducing the risk of fatigue or injury. The HyperFace loves the warmth. Place the pad in the Sun or on a radiator to increase performance. Watch your players hands though! 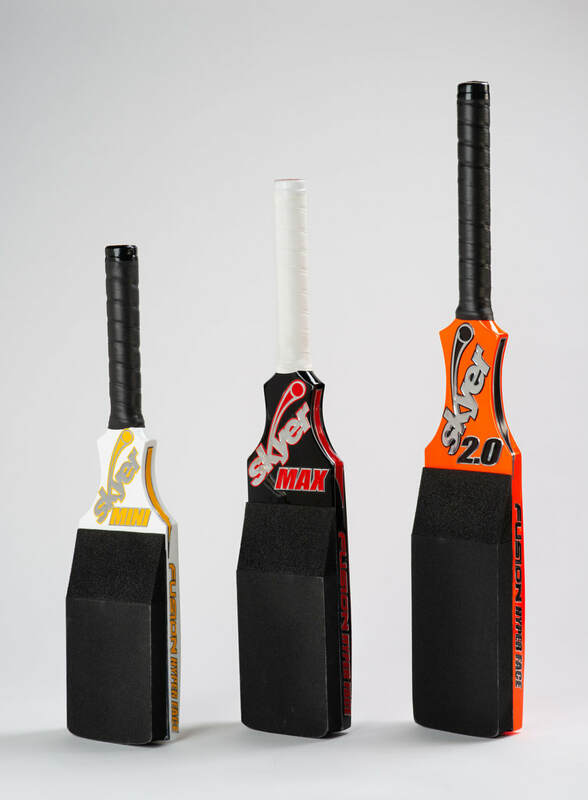 After 2 years of development we are proud to introduce you to the all New Skyer Hyperface range. 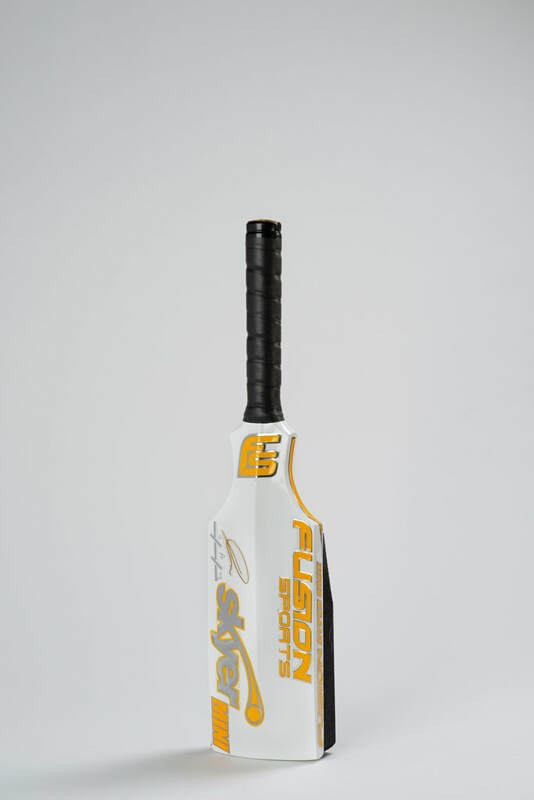 Comprising three models to cater for every coach and situation the craziest coach can come up with the Hyperface range takes the original Skyer, which had the best rebound on the market, and attaches a 'fuel injected Turbo' for the best performance we’ve experienced. The secret to this is the all new Hyperface, made from a material which we scoured the planet for, a material which may look like any normal foam but we can assure you it’s properties are mind boggling. Light, resilient and with crazy rebound speed the Skyer Hyperface is going to insure that every ball can be hit further, faster and with less effort than ever before. On top of the HyperFace we have also introduced a number of other improvements. The main feature of which is the increased hitting area which has been widened by 1 cm. This may not seem much but it makes a difference and will give every user confidence and ease of use. 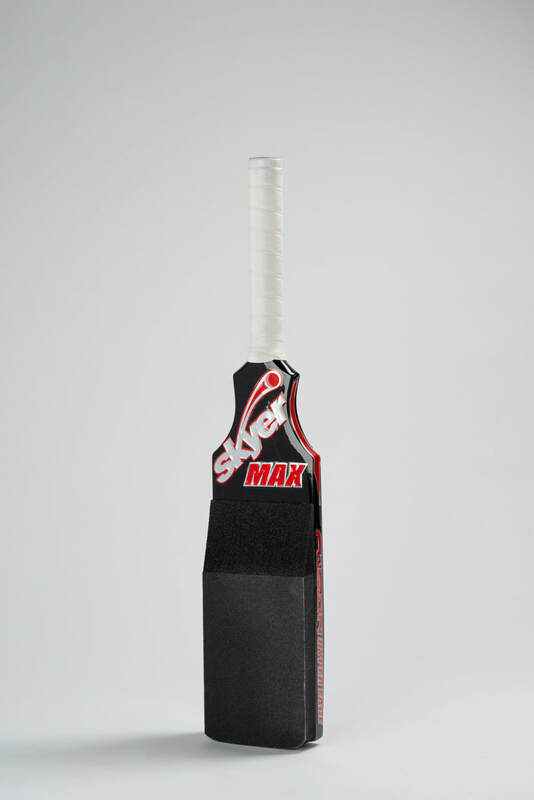 Despite the larger hitting area because of the lightness of the HyperFace the Skyer 2.0 and Max are lighter than their predecessors. 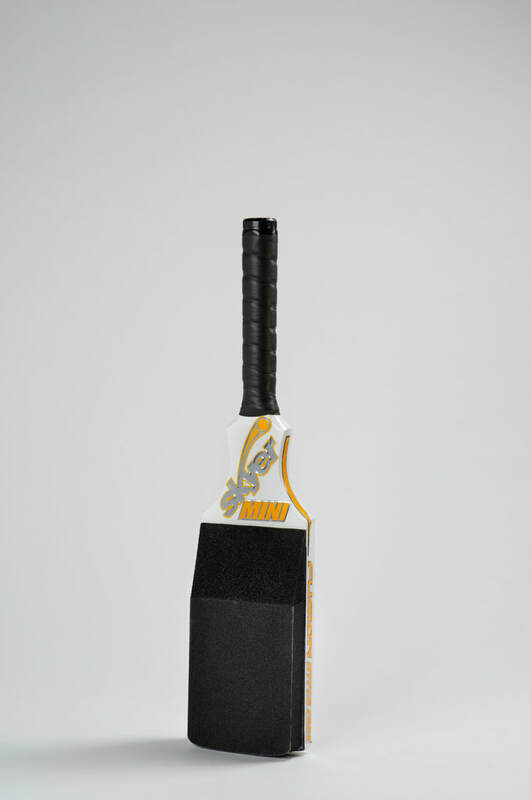 We have also replaced the rubber grip with a tennis/hockey style grip which eliminates the problem of grips riding up the handle which was a massive bugbear of ours and probably every coach that ever lived. Every coach is different, we come in different shapes and sizes, different ages and genders. Some are stronger than others, some train the best players in the world whilst others are coaching our grassroots players. Whilst our Skyers are suitable for all levels of Cricket, there will be one more suited to each individual coach and their requirements. How long are your fielding sessions? How strong are you? How far do you need to hit? These are some of the questions you should ask. I mainly coach wicket keepers. I am hitting no further than 15-20m and prefer the feel of a lighter, shorter Skyer which still has plenty of power. I predominantly use the Max though will be using the Mini for younger players and certain drills where I need dexterity. UNIQUE – Every Skyer in the HyperFace range is handmade and assembled in the UK by Skyer founder James Cornford. As a stamp of quality each is signed and given a unique number. HOW ARE THEY MADE - The crucial HyperFaces are made for us in Germany and the company are the only ones in the World who make this material. They were sent to a factory in Glasgow where they were cut to size and the sloped chamfer added. The Chamfer is an amendment to the previous model. The sloped end was part of the original design but made of the same material. This was wasteful and added weight to the Skyer. 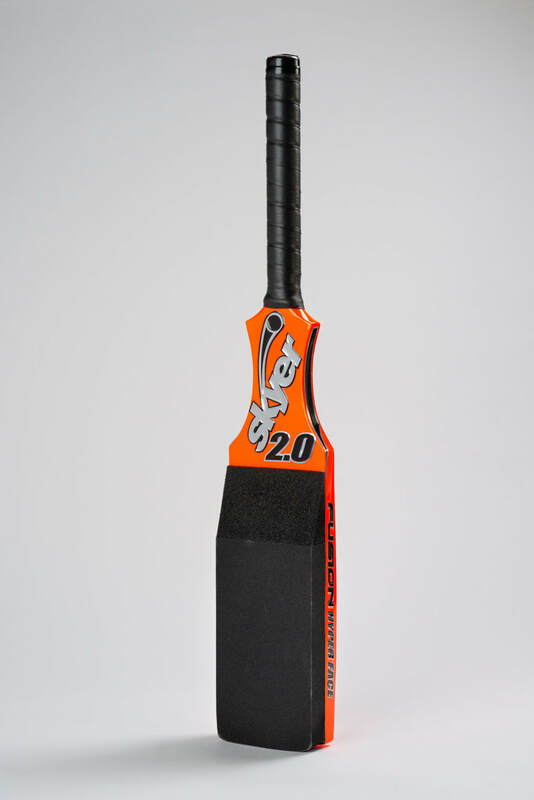 The slope serves no performance advantage and therefore we replaced it with a very lightweight foam, saving weight. These finished pads then went to James at his workshop where he shapes them to the blade, before painting and glueing them ready for use.